One of the cool things that the internet provides is access to all manner of unusual stuff. Admittedly there is a lot of junk and rubbish out here, but you just have to look for the gems. Here's an example of where I got to in my travels. I've always had a liking for old music, from the early to middle of the twentieth century, especially old country music, and original Blues. By Googling some of the artists that I knew I rapidly expanded my knowledge and understanding of some of these old musicians and the music they left us, and added to my list of favourites. From many years ago I have had a liking for Bluegrass music (remember the Hamilton County Bluegrass Band). It's not far from there to Bill Monroe, and Lester Flatt and Earl Scruggs (what great names). While searching out these people, and their music, I added other musicians from other periods and related genres. 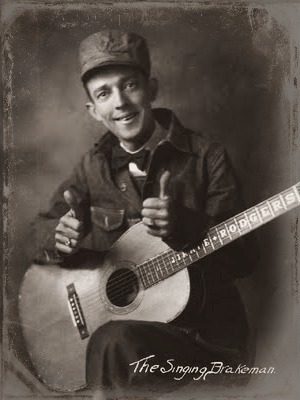 Robert Johnson, the, now, well-known Blues singer/guitarist; Leadbelly - more Blues; Jimmie Rodgers with his country and "white" blues mix (the one from the 1920s, not the 1950s); through to outfits like Bob Wills and his Texas Playboys. Not only can you read up about these people on various websites, including Wikipedia, but you can listen to recordings, for example on YouTube. And, of course, searching out these people adds other new ones to the mix. Without the internet where would we find all of these people and their music? I'll leave it to you to search out the artists above. (Here's a puzzle for you - search out the connection between Bob Wills and Mick Jagger). Maybe your taste in music is somewhat different to mine ("Oh Yes" I hear you cry). So the best thing to do is chase up some of the artists that you remember from way back when. Build and expand your own list of cool stuff. Leave us a comment on any cool stuff you find.